I've been scheming for a 7 for about the last 15 years (basically as long as I've known about them). I even came pretty close to building a Locost back in 2004 when the Miata-based kits showed up, but ran out of time and space. This year I decided that the right one had come along, and picked up a Caterham Zetec. 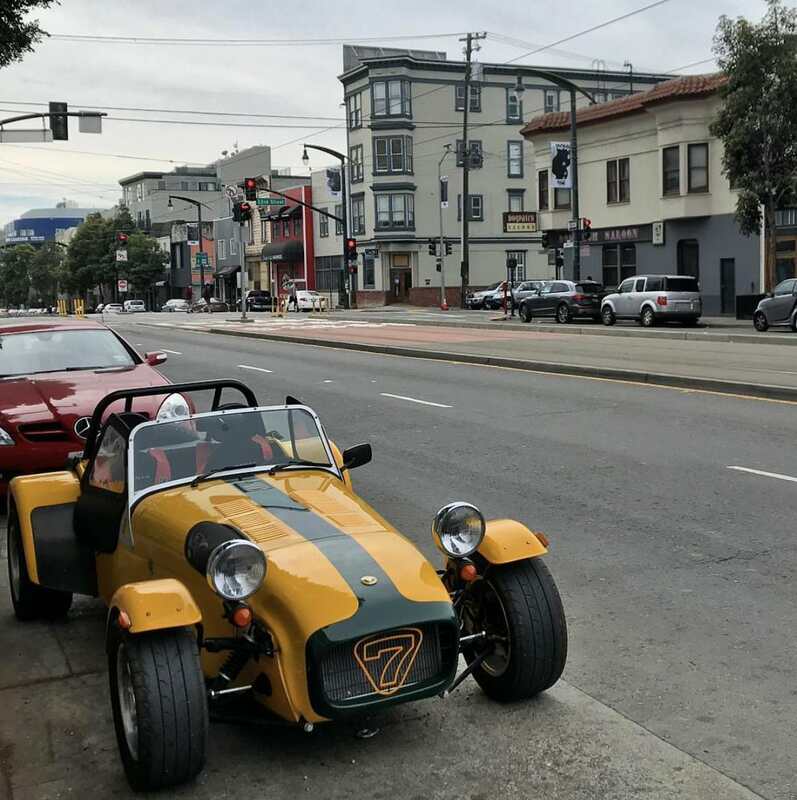 I've seen a few 7s running around the Bay Area before, but now there's one more! Incidentally, when it came time to sign up for the forum, I found out that I had already registered back in 2014, presumably to look at images after Geoff linked me to a yellow Superlight R for sale back then. I guess it was bound to happen, eventually. Woo Hoo! Welcome back. Nice ride. Is this the one from Bring A Trailer out of Los Osos or somewhere near there? Welcome to the club and check the Events section for our picnic in sometime in August. Car looks good! Might be time for new tires. Yes - this was the BAT car and I think Lee may have some news on tires.